Imagine this: you’re in a foreign land with a foreign language with 38 people you’ve never before met. The one friend you do have, the friend you’ve scheduled a five-day trip with, tells you all of a sudden, the plans have changed. You can’t stay with her and her family anymore; you need to “figure it out” on your own. 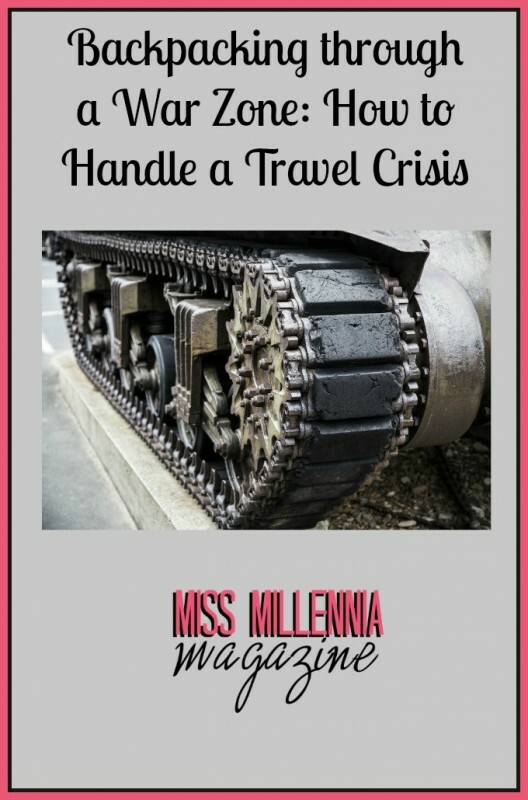 How do you handle the travel crisis? Do you call the airport to move up your return flight? Do you cry till your tear ducts are dry? Beg on your knees for your friend to accommodate you? Or, do you figure it out? If you’re not already familiar with it, the Taglit-Birthright Israel program is a 10-day, all-expenses-paid trip to Israel which young Jews (ages 18-25) are entitled to simply by applying online and verifying their Jewish heritage. It is an incredible opportunity to experience the land of our ancestors, meet Israeli soldiers, tour the historical landmarks, and make new Jewish friends, which I was fortunate enough to receive simply by being born and raised Jewish. However, this article is not about the 10-day guided tour of the homeland, as wonderful as it was, but about the five days following it. You see, months before our plane left JFK, my friend “Ruth,” or more accurately Ruth’s parents had invited me to stay with them for a five-day extension in Jerusalem, where Ruth was to celebrate the Bat Mitzvah she never had back in middle school. Even more exciting, her parents had agreed to put me up at the Waldorf Astoria, which, let’s just say, is a pretty fancy hotel. I told them over and over how willing I was to pay for myself (considering I was crashing their family vacation), but her parents insisted, called me “silly” and told me to flat-out “stop” pressing the matter further; they would accommodate me, and that was that. Well, four days into the Birthright trip, after already having kayaked the Jordan River, prayed at the Western Wall, slept in two Israeli kibbutzes, and made about fifteen new friends, Ruth hits me with some news: “My brother is coming.” Okay, I thought. The more, the merrier. No. Her brother was coming, and taking my place. The bed at the Waldorf would be his, and I would have to fend for myself. “Excuse me?” I asked (yelled) indignantly. 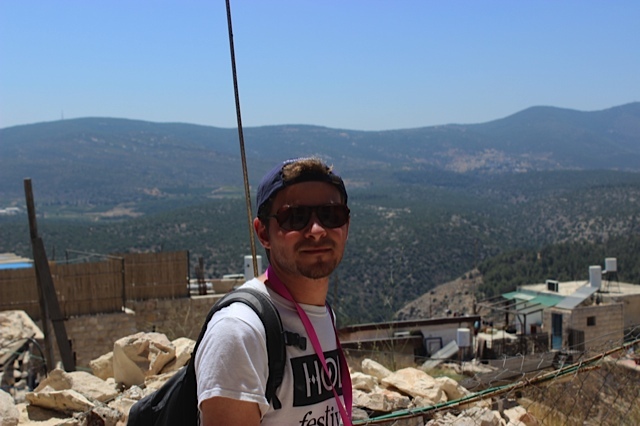 “Do you understand the position this puts me in?” I would be left alone…in the Middle East…with no money…in the Middle East…with nowhere to stay…with only two semesters of Hebrew under my belt…with no idea where to go…in the Middle East. “See who else is extending,” Ruth said with nonchalance. I can’t accurately describe my feelings at that moment or the many following it, but irate, offended, distraught, and petrified are a good start. Anyway, as utterly aggravated as I was with Ruth, I decided to take her vague advice and ask around. Turned out several people in the group were extending their trip, some with Israeli family members or friends, others on their own, and many were still in the process of making plans. This both reassured me and worried me even more. Could I trust these kids I’d known only four days, never mind rely on them to share their hospitality, considering some of them were to be other people’s guests, and especially considering their plans were not even finalized?? What if they didn’t work out? What if I wasn’t welcome? What if I was left on my own at the last minute? What if (God forbid) there was a Palestinian Terrorist attack, and I was all on my own? Was I willing to take this risk?? To potentially endanger my life??? Long story very short, things could not have worked out any better. After calling my parents (my mom remaining under control while my dad nervously mumbled about the movie Taken) and getting a few extra dollars put on my Visa travel card, I kept calm, booked a youth hostel in Tel Aviv with a new friend, and focused on enjoying the rest of my Birthright trip. The key was to view the unplanned, unpredictable five-day extension as exhilarating rather than terrifying—an exciting, potentially once-in-a-lifetime mini-backpacking trip where I could have new experiences and see what happens! And that’s exactly what I did. Because Tel Aviv is a beach city full of bars and clubs (sort of the Israeli Miami), staying there for my extension gave me the chance to relax, take in some sun, and get the vacation I hadn’t gotten on the structured, fast-moving Birthright trip. The main hostel I stayed at was a two-minute walk from the beach and a five-minute walk from local food and craft markets. Thus, I got to experience the culture more personally, rather than feeling like a sightseeing tourist, and spend my afternoons wading in the Mediterranean without worrying at all about my schedule. Moreover, because Birthright does not allow much time in Tel Aviv, my peers, including numerous kids from other Birthright groups, chose to extend there too. This gave me the chance to meet even more Jewish kids from all over the country. There was a group of college students from Seattle staying in my hostel whom I followed to the market one morning and ended up spending the whole day at the beach with, getting to know each other with hummus and the crash of waves. One night, I met a girl from Florida on my hostel’s rooftop bar, and the next morning we took a spontaneous day trip to Haifa (in the north of Israel)! In the train station, we met two British brothers on a Middle Eastern excursion, and the four of us spent the entire day together walking around the Bahai Gardens—surely an experience I would not have had, had I stayed in the Old City of Jerusalem with Ruth’s family. The point of all this is simple: keep an open mind—at all times if you can, but especially when you’re traveling. You never know what will happen, no matter how definite your plans seem. Crises occur, people change, brothers show up out of nowhere…it’s life. There’s no point in stressing over something completely out of your control; what’s important is how you control the situation from then on. Never forget the shortness of life or the immensity of the world in which you live it. I’ve never been an advocate of using our generation’s go-to expression, but sometimes the cliche applies: you only live once. The late teens and twenties should be a time of adventure: new people, new experiences.Traveling for five days with people I barely knew (even people I hadn’t known for 24 hours!) may seem scary or dangerous, but it was one of those incredible life’s firsts I will always miss and never regret. Don’t let a significant other or a friend, or that friend’s rude, irresponsible parents, prevent you from having an amazing adventure. In fact, they could be just the people who allow you the chance.